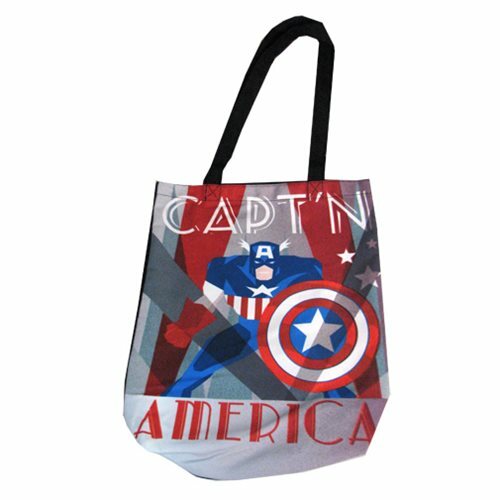 Shopping for Captain America Tote Bags? Carry your stuff in a tote bag that looks Marvel-ous! The Marvel Comics Captain America Deco Shopper Tote Bag features a cool art deco Marvel Comics design. Measures approximately 16 1/4-inches tall x 13 1/2-inches wide. Ages 13 and up.